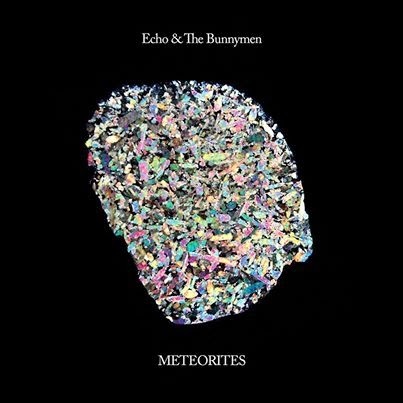 Echo & the Bunnymen launched a funding campaign through Pledge Music for their new album Meteorites on Wednesday -- about 24 hours later, the campaign was fully (over 100%) funded! It's pretty rare to see a campaign funded so quickly; certainly fans are excited about the new album which, according to the band's comments earlier in the week, revives a "passion for the Velvet Underground" and will rank alongside some of Echo's classic albums like Crocodiles and Ocean Rain. It also didn't hurt that Echo offered concert tickets for their spring U.K. tour as pledge incentives, plus several options added an autographed CD to along with tickets. Fans can still take advantage of pledge incentives and pre-order through April 27th. Meteorites will be released on April 28th. Ian McCulloch called Meteorites "untouchable, celestial, beautiful, and real" and said the album changed his life. Catch up with Echo & the Bunnymen here.